We are so excited about all the new designs and products being officially released over the next two weeks. Here is the official lunch of the "Pretty Horses" and "Start Your Engines"! Stay tuned as there will be more launches. I’m sure we are not the only ones who are in love with horses and galloping ponies. Set their imagination wild with the release of the prettiest ponies we’ve ever seen. Vroom vroom. Get racing with this one for the lads (and the mechanically minded girl of course!). 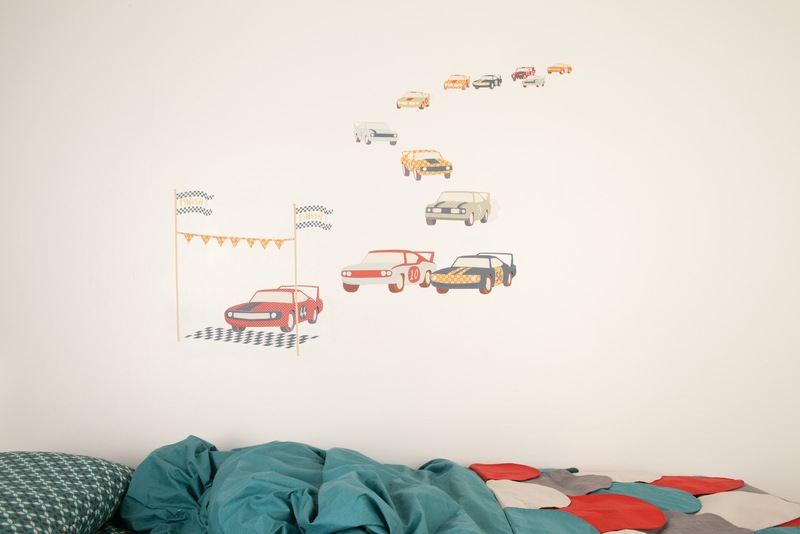 Who wouldn’t love a bit of fast car action to transform a room. This design is so versatile in the area of space that it takes up... and no doubt a few cars will stray off here and there before joining up with the race again. Who will cross the finish line first? Pretty horses, lovely and elegant for the room of my daugther.